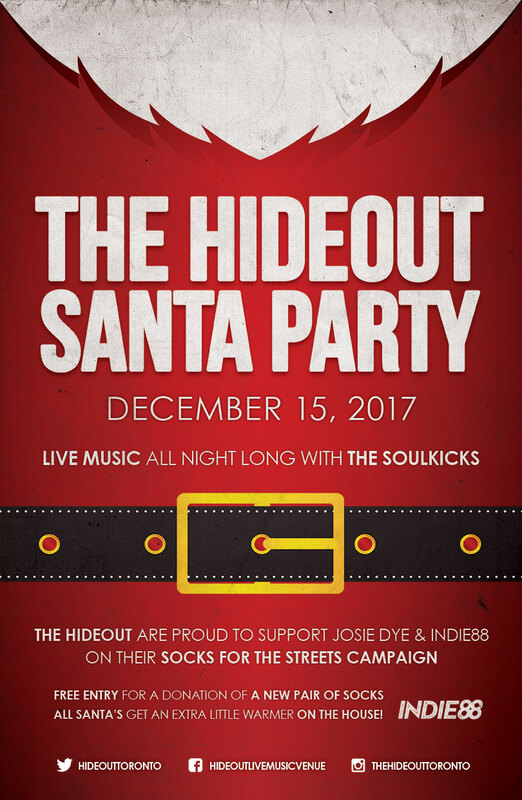 Help us raise 10,000 pairs of socks this holiday season with The Josie Dye Show’s Socks for the Streets with Socks 4 Souls Canada! The Soulkicks are a high energy soul, funk and rock n roll band based in Toronto. The quality of their sound combined with their explosive live show makes The Soulkicks one of the best nights out you can have in the city. People come to see The Soulkicks to let loose, dance and appreciate the combined talents of some of Toronto finest musicians. The Soulkicks balance musical ingenuity with energy and style that appeals to audiences of various musical genres and tastes. There is a a bit of what you like running through every Soulkicks set and that’s what gives the band its appeal. With the wide ranging powerful raspy vocals of their charismatic frontman Sean Byrne combined with the energetic live sounds from the stage, The Soulkicks have a well-earned reputation of creating a highly charged atmosphere where the crowd just kick back and become a part of the musical experience. From Toronto’s best live venues to festivals to private functions, The Soulkicks have such an expansive repertoire that they can step into any atmosphere, engage with a crowd, catch the vibe and fill the dance floor with a couple of bars of some of the most recognized tracks ever released. Too often live music can be a touch contrived and bland, the difference is The Soulkicks, bring what the audience demands to the table, then they just krank up the sax and bass and take it back to The Oldschool the way you like to remember it.